I needed to buy something at Target because I needed to get cash back to tip my hairdresser and my bank doesn’t have ATMs in my area (dumb, right? I should totally switch banks, but I refuse to buy into BoA). What I ended up purchasing, while trying to find presents for other people, is this lovely blue palette for myself. I was looking for a matte black shadow, which this has, so I sort of “needed” it. The white base shadow goes on thick and feels a little bit like clown makeup, but applying that first allows the pale purple lid to shine. 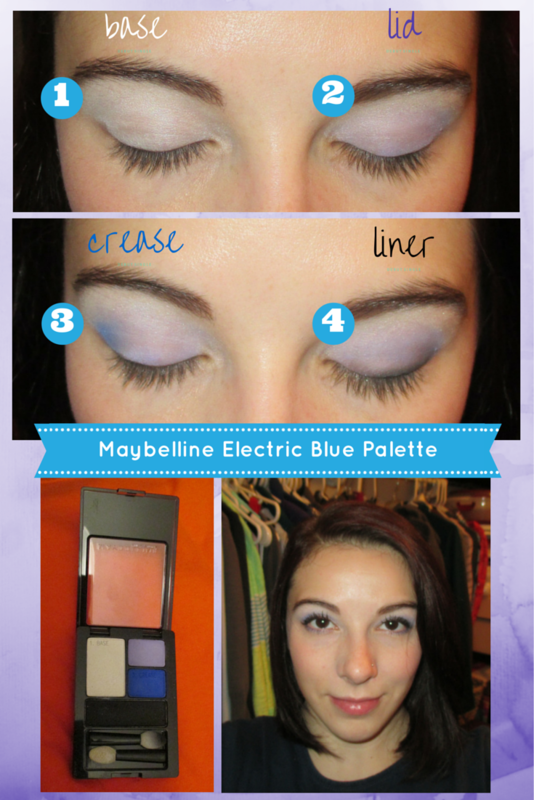 The blue crease looks a little intimidating, but it goes on lightly and lets you build up. I also lined my bottom lash line with the blue shadow. Bad idea. Don’t do that. Especially when you’ve only had 4 hours of sleep. I love love love these shadows and they’ll be in my daily rotation. Added bonus – it’s only $4.99!! !